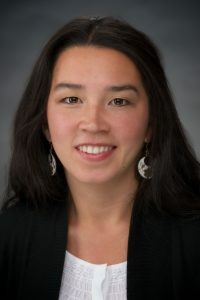 Aimee is Executive Director for PSJH Global Partnerships She is passionate about global health development, economic justice, racial equity and international solidarity. Through her work, she develops relationships with partner organizations in Latin America to create sustainable health solutions for long-term change, engaging local communities and Providence St Joseph caregivers in service together. Directing international programs at Providence, Khuu is focused on eliminating the root causes of serious health risks for adults and children in Guatemala and Mexico. Prior to coming to Providence in 2012, Aimee worked for Esperanza International as Volunteer Program Director. Aimee oversaw the effort to prevent the closure of the organization during a difficult financial and political time for both Mexico and nonprofits. Aimee is a recipient of the Catholic Health Association’s Tomorrow’s Leaders award, recognized for her leadership and impact in caring for those who are poor and vulnerable. She has an MPA from the Evans school of public policy at the University of Washington and studied political science at Seattle University. Aimee also worked for New Futures as an academic coordinator and is excited to serve as a board member to support the work that she believes is so important in the community.